Envoy Conference is located in the central part of Belgrade’s historic district of Dorcol, in Gospodar Jevremova street 47, in the very heart of the city. A short three minute walking distance away from from the Envoy Hotel, we provide fully functional spaces for rent, with wonderful daylight atmospheres, accompained by a 200 m2 balcony, making them ideal to rent for your meetings, conferences, seminars, workshops, company celebrations, press conferences, cocktails, or exhibitions. 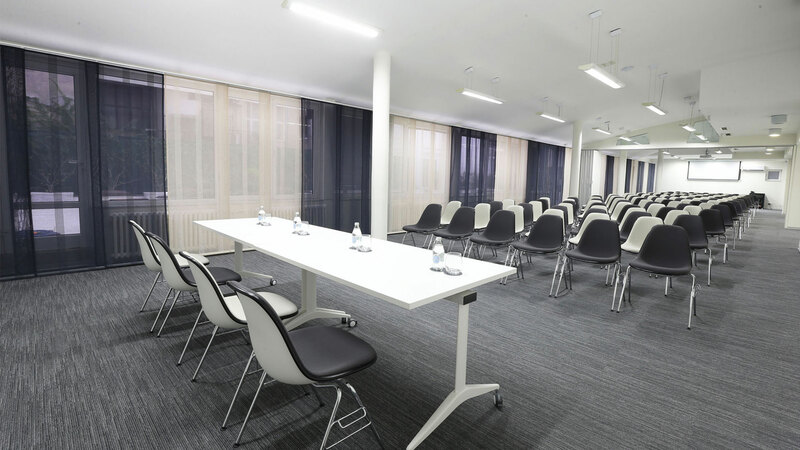 Each space inside the Envoy Conference comes with state of the art equipment (65-inch LCD screen, laptop, free Wi-Fi, pin board, flipchart, etc), including a translator room, multifunctional meeting desks easily adaptable to fit the requirements of your event. All year round, at the heart of Belgrade’s bustling city centre.